First on the story! Last to know when to shut up!! Let’s be honest, Friday was not a great night for Coupeville High School football. First off, no cameos by renegade deer, so we miss out on having a video go viral for a third time in one season. 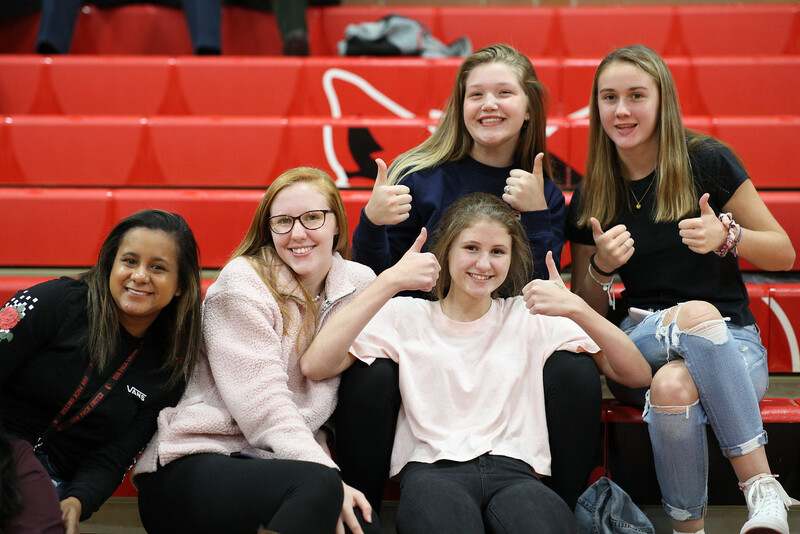 If you dig deep enough (and we will), you can find a few bright spots, but, overall, being bashed 38-6 by visiting Sultan was frustrating, a bit demoralizing and painful in multiple ways for the Wolves. The Homecoming loss, in which it didn’t get on the scoreboard until the final minutes, drops Coupeville to 0-2 in North Sound Conference play, 3-3 overall. 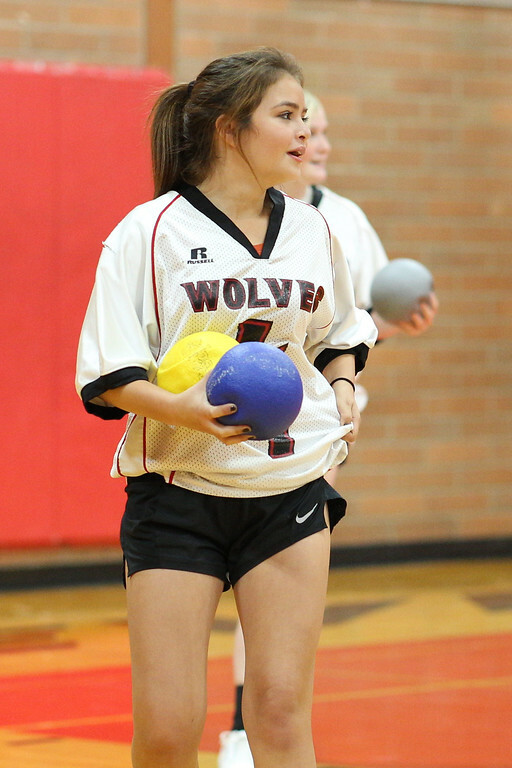 The Wolves are tied with Granite Falls (0-2), a game off of South Whidbey (1-1) and Sultan (1-1) and two back of King’s (2-0) and Cedar Park Christian (2-0), with three league games left on the schedule. CPC bounced South Whidbey 35-20 Friday, while King’s held on to nip Granite Falls 13-12. While the postseason schedule hasn’t been released, early word indicates four of the league’s six teams will make the playoffs, earning a chance in week #10 to play for a berth in the 16-team state tourney. CHS travels to Langley next Friday to play their Island rivals for ownership of The Bucket. The Wolves will be looking to run their dominance over the Falcons to three straight years, but the game will also have a huge say in how realistic Coupeville’s chances of advancing to the playoffs may be. Hopefully it will be a week of healing for the guys in black and red, as several of them exited Friday’s game early. Starting QB Dawson Houston and two-way terror Andrew Martin both ended up on the sidelines with injuries, while starters Chris Battaglia and Jake Pease were in street clothes from the start of the game. Sultan was exactly what everyone expected, a rough and tumble team which played smash-mouth football, picked up a lot of yards (and a lot of penalties, including having a player ejected), and hit with abandon, both during the play and often after the whistle. Turk QB Jensen Webster was the man with the plan, using his fleet feet to beat the Wolves to the edges when he ran (which was often), then dropping a couple of pin-point passes. 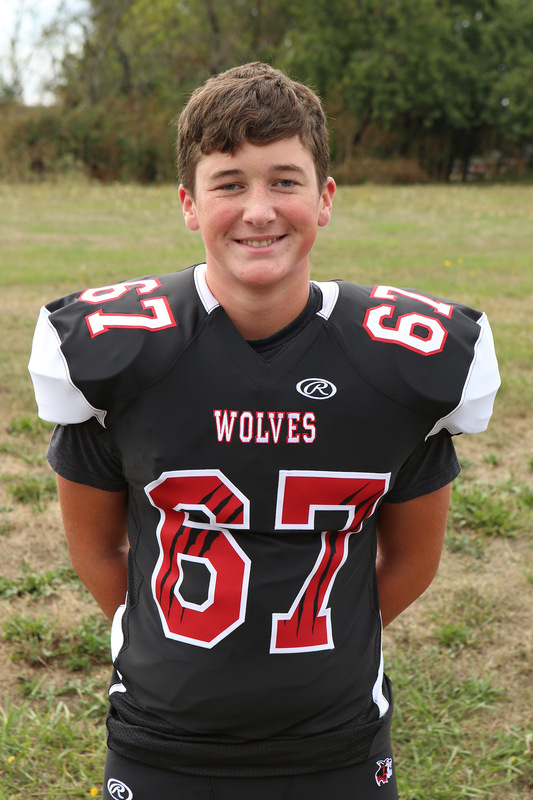 The Sultan senior scored twice on the ground on short runs, while also burning Coupeville for a pair of 30+ yard touchdown flings, including one on which the receiver slipped behind the defense and had no one within 20 yards of his body as he hauled in the scoring lob. Tack on two more scores on the ground, and the Turks were in control from start to finish, taking a 20-0 lead in at the half, then stretching it out to 38-0 before surrendering a late Wolf score. Sultan also spent much of the game hammering Coupeville, severely limiting its offensive output. About the only thing the Turks couldn’t do was hit on PAT tries, as they missed all three kicks and were stuffed on two of three two-point conversion attempts. One of Coupeville’s few real bright points came when senior Alex Turner crashed through the line and blocked an extra-point try, before sneaking away, dramatically waving his hands. He also collected a team-high 10 tackles, doing his best to stymie the Turks. With Sultan keeping control of the ball for large chunks of time, the Wolves had plenty of opportunities to pile up the tackles. Sean Toomey-Stout chased down eight ball-carriers from his spot in the secondary, while Martin racked up six tackles before exiting the game. Offense was more of an issue for Coupeville, as it turned the ball over on downs five times. Toss in two botched punts — one of which went for five yards and another which netted zip as the refs ruled the Wolves inadvertently downed the ball before they got the kick off — and two interceptions, and the engine was sputtering. The Wolves finally broke through late in the fourth quarter, when they put together their only sustained drive of the night. Shane Losey, having slid under center after Houston exited limping, connected on a couple of quick passes to Dane Lucero and Gabe Shaw, and a roughing the passer penalty on Sultan moved the Wolves a chunk of yardage closer to the end zone. Within striking distance, Toomey-Stout, who was hit late on multiple runs by the frequently-chippy Turks, blasted in from 10 yards out for his eighth touchdown of the season. “The Torpedo” is carrying the scoring burden for the Wolves this season, with no other CHS player having reached the end zone more than once. Toomey-Stout also had Coupeville’s most-dynamic play of the night, and, while it didn’t gain much yardage, it was still a pretty piece of work. Losey, scrambling away from several rampaging Turks, zipped a pass in to a narrow target, only to have the ball hit a hand and pop skyward. As it did, Toomey-Stout launched himself over a rival, snagged the free-falling ball and pulled it in for a reception, even as he got smacked hard from defenders coming in from two sides. For what was ultimately a four-yard reception, it still drew appreciative “ooh’s” and “ah’s,” as is only right. If we’re really digging for bright spots, we can add Shaw, a freshman, netting his first varsity reception, Gavin St Onge blowing up a couple of Turk runners while working hard on the line, and Matt Hilborn doing a bit of everything. 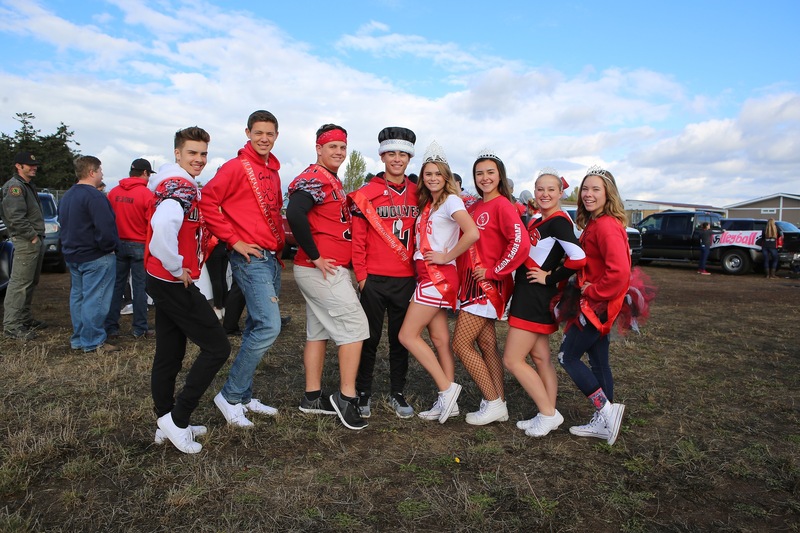 The Wolf senior laced one well-hit punt for 50-some yards, crashed hard through the defense as a rusher and receiver, yanked a runaway Turk down to save a TD, and was elected Homecoming King, even though he was with his team and not present when he and Queen Sarah Wright were honored. Oh, and CHS debuted its new permanent ticket booth/concession stand/bathrooms/fancy entrance to Mickey Clark Field, and the day-long deluge of rain stopped right before kickoff. Some nights you find your positives where you can. Crown fever sweeps Cow Town!! 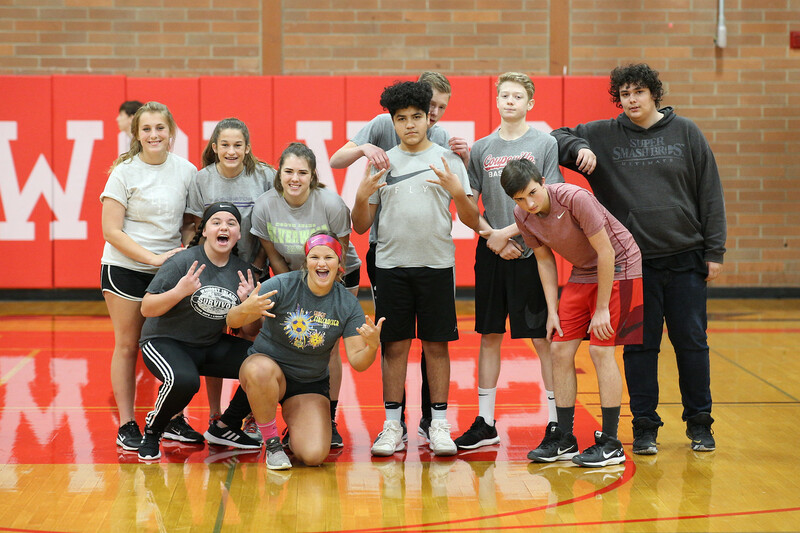 Coupeville High School went old-school. Having opted out of holding a class float parade on its still relatively new track oval, school officials didn’t announce all of the Homecoming royalty at an afternoon assembly. 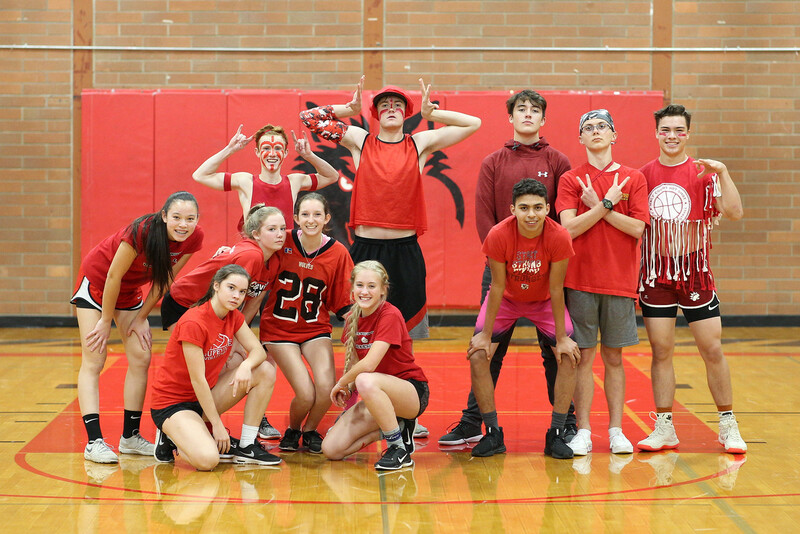 Instead, CHS, while revealing 10 senior court nominees, kept the identity of the 2018 King and Queen confidential until halftime of Friday’s game against Sultan. It was only then that Sarah Wright and Matt Hilborn were revealed as the successors to last year’s top two, Payton Aparicio and Hunter Smith. 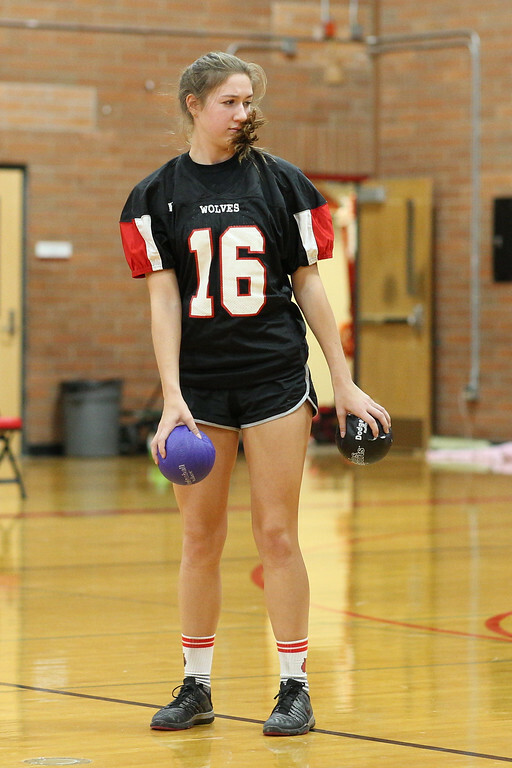 Counting the underclassmen and teachers, whose courts were announced earlier, 18 Wolves were honored. So new! So shiny! So convenient!! Wolf fans can enter to the left of the building, instead of walking around the back and using a side entrance. 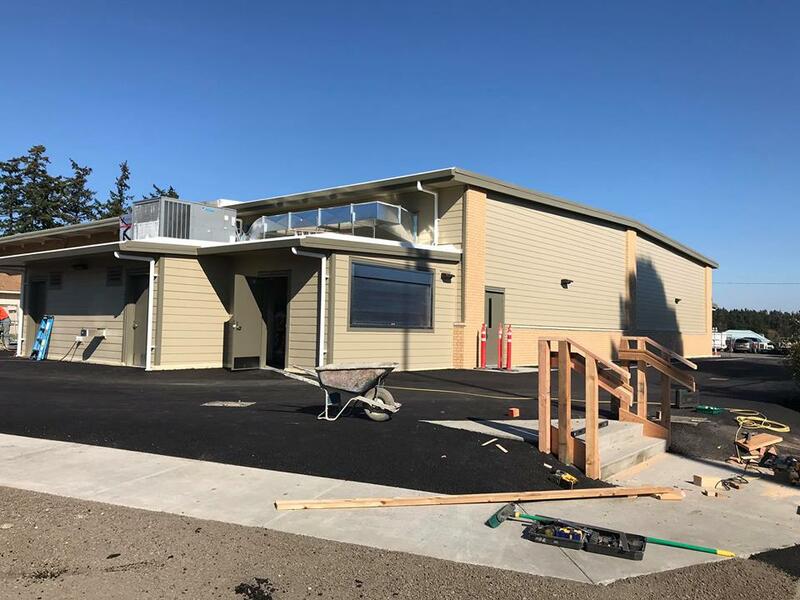 Work was also done on the elementary school and the entrance to the new stadium, along with permanent bathrooms being added. So, faster than the stadium. 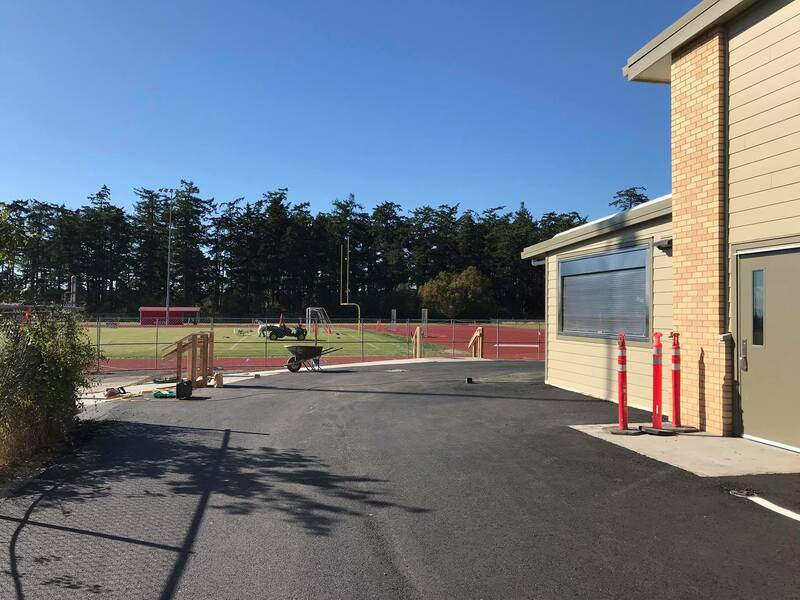 A new concession stand/ticket booth, permanent bathrooms and main entrance to Mickey Clark Field have been finished, and will be in use for Friday night’s Coupeville High School Homecoming football game. Instead of wandering down the backside, weaving past the elementary school and coming in through a side entrance, as fans have done at the first three home games this year, you can now walk in straight off the CES parking lot like in the “olden” days. Only now, you won’t have to walk clear across the football field/track to get to the snack shack, and the Porti-Potties are an afterthought, and not your only choice. CHS Athletic Director Willie Smith confirmed the change Friday morning, using a surprising amount of exclamation points (for him). 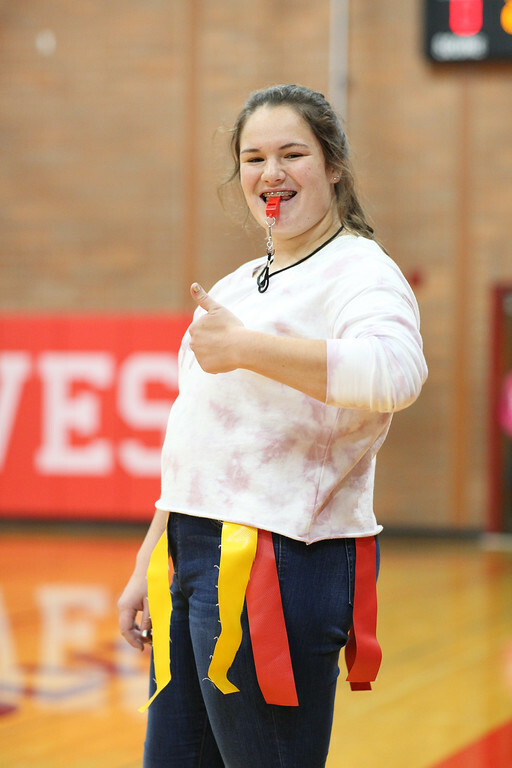 The influence of Coupeville Sports grows. “Yes, we are good to go to use the main entrance this evening! !” he said in a short press release, then bounded away to deal with the other 10,000 issues on his schedule. Konni Smith, who runs the concession stands, which benefit CHS Class of 2019 students like daughter Emma, was equally thrilled to make the jump from the old snack shack to her new digs adjacent to the home stands. Then she bounded away to deal with the other 10,000 issues on her schedule. 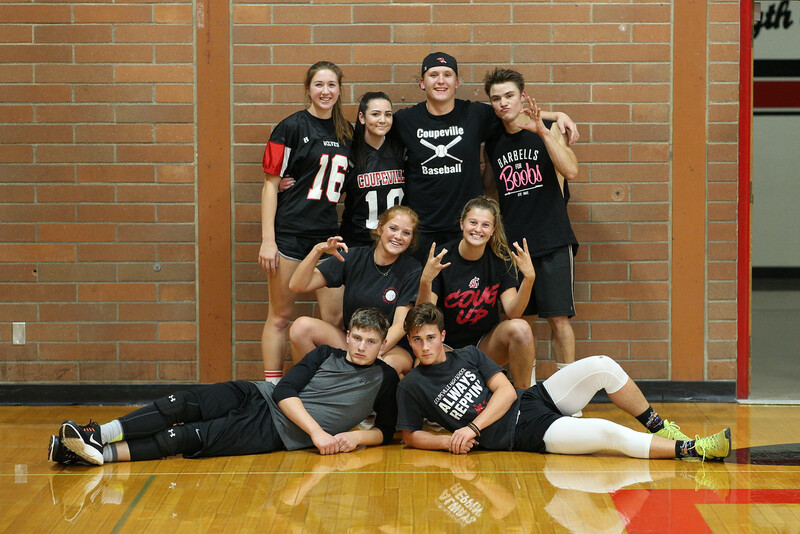 The Wolf seniors rule the gym. Teo Keilwitz comes flying in hot. The juniors fear no one. Emma Smith hides behind a cascade of hair, waiting for the perfect moment to strike. The sophomores, eternally loud and proud. Matt Hilborn stalks his targets. The fan section threatens to get out of control. Kiara Contreras upholds freshman honor. 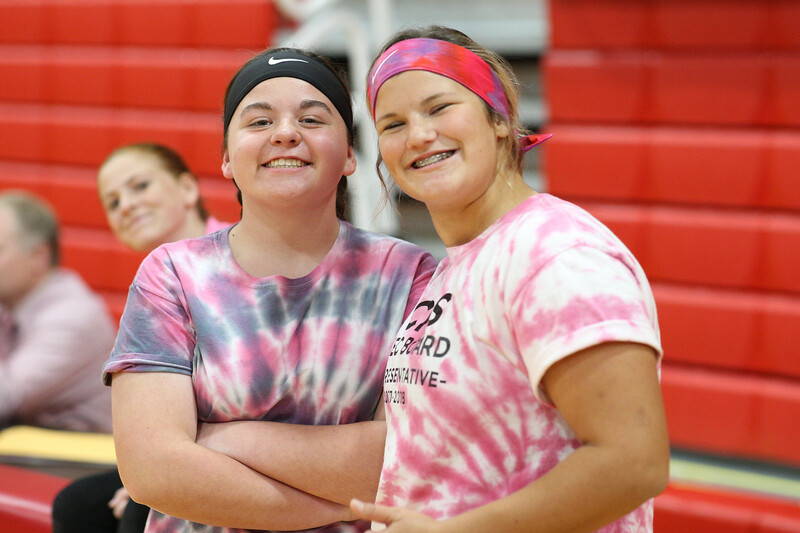 Mollie Bailey (left) and Genna Wright pause in the heat of battle. You can dodge a ball, but not the cameraman. 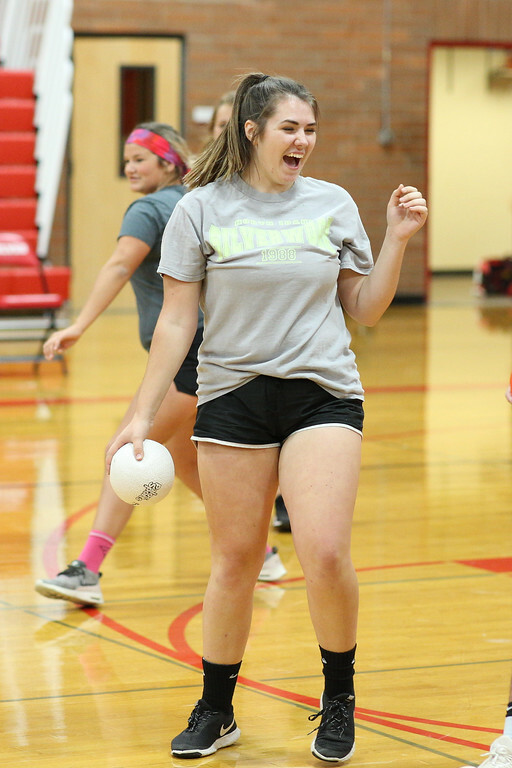 Wandering from gym to gym Wednesday night, paparazzi to the stars John Fisken paused to capture a slice of Coupeville’s Homecoming week festivities. 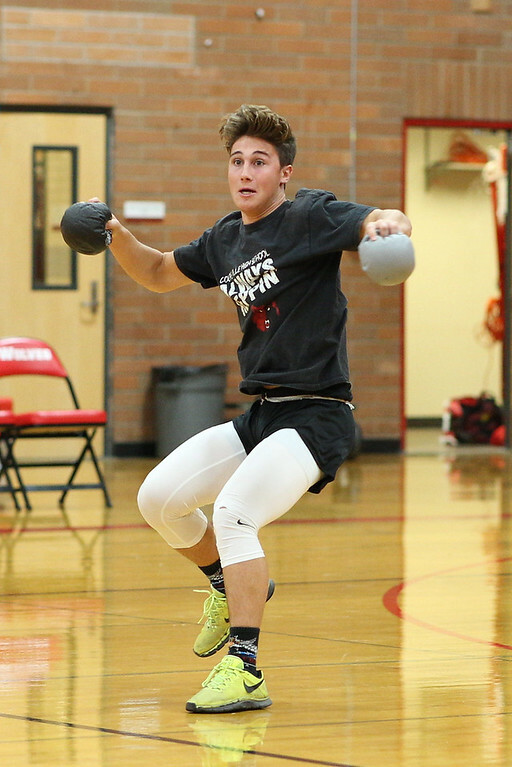 The event was the annual dodgeball tourney, pitting players from all four classes against each other. And this time, all photos are open and free to download. Though, if you want an extra-glossy version, you can toss Fisken a few bucks and get a high-quality image. One court, to rule them all!! The senior court for Homecoming practices their runway poses. Payton Aparicio and Hunter Smith lead the parade. 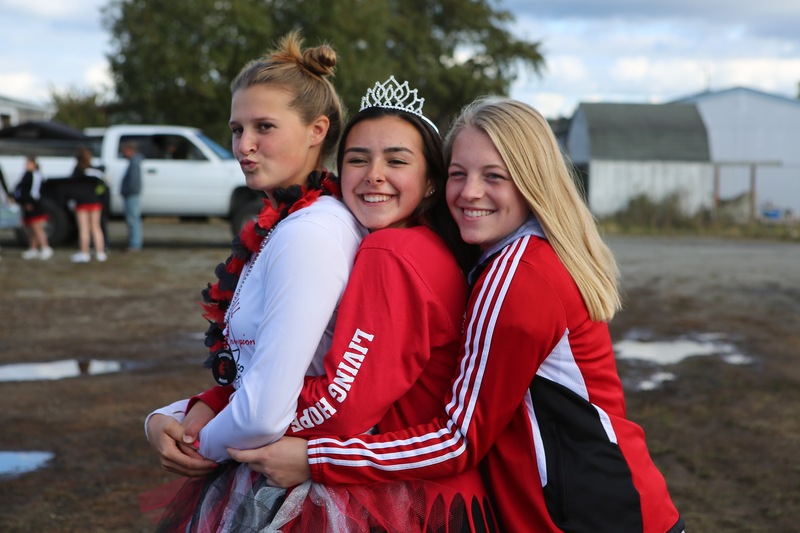 Senior princess Lauren Bayne gets love from soccer mates Lindsey Roberts (left) and Sage Renninger. 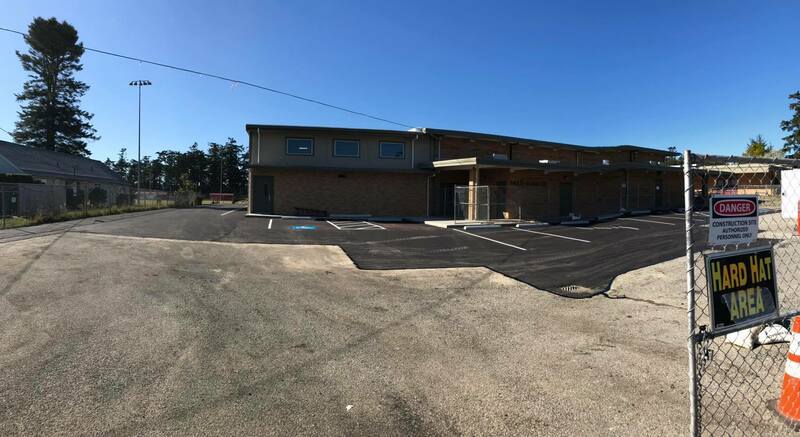 My home away from home for 13 years may be no more (psst … not too late for someone to bring it back and start paying me to watch movies again), but its alumni are still making news. 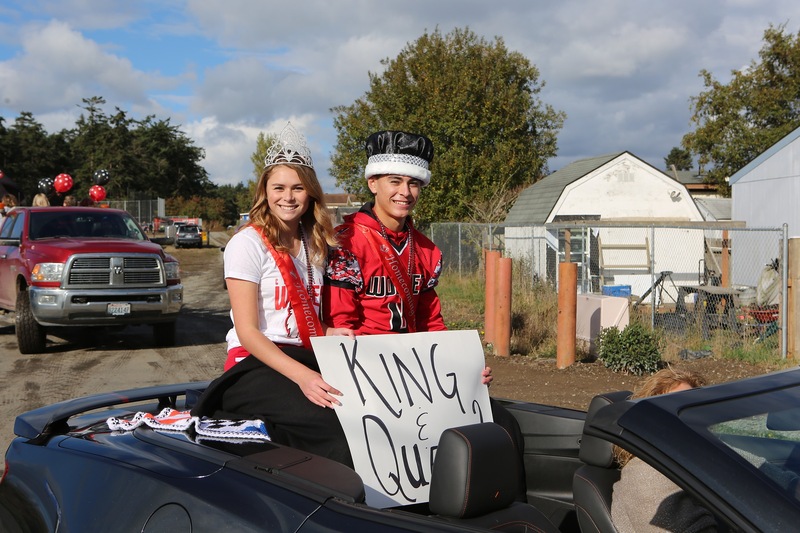 When Coupeville High School announced its 2017 Homecoming royalty Friday, two of the honorees had a connection back to video store life. 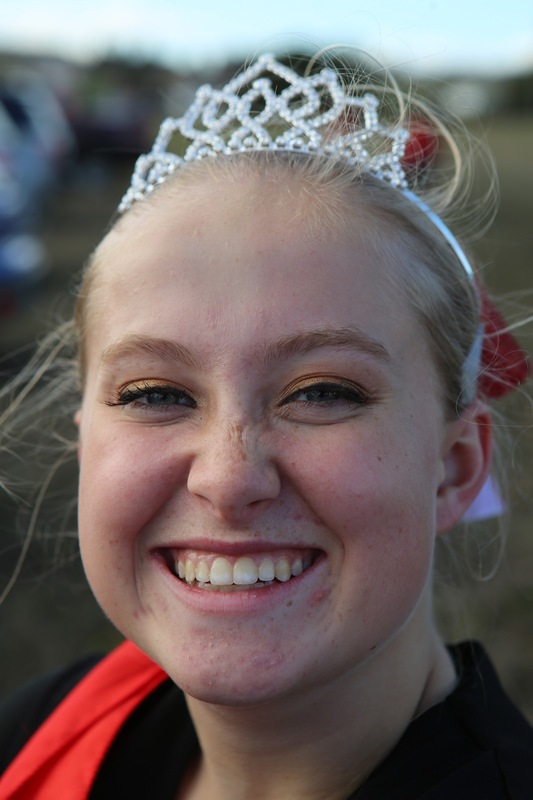 Senior princess Mckenzie Meyer is the granddaughter of my former bosses, Frank and Miriam Meyer. And freshman princess Aria Bowen, though she might have forgotten about it at this point, used to hang out with me behind the video counter as a baby while mom Dea made drinks at Miriam’s Espresso. Play for CHS? You're in the book! Support your Coupeville Booster Club!! Kapaws Iskreme, The Local Treat!